Gain a working knowledge of DC circuits. 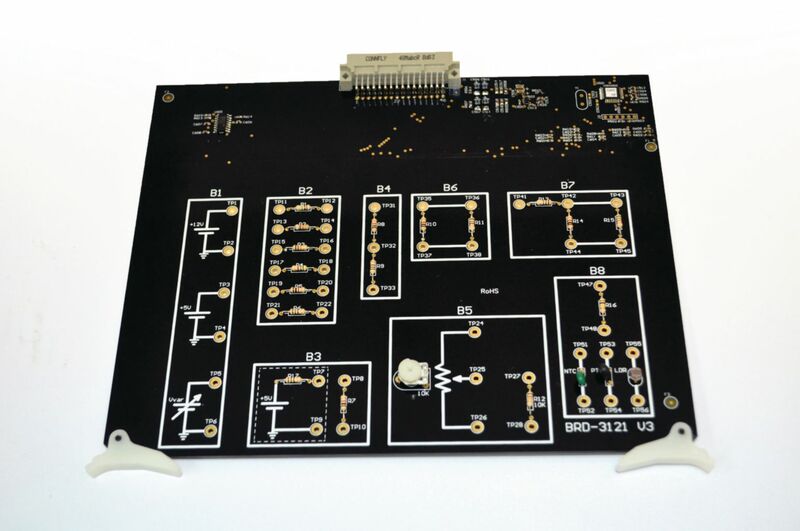 The DC Circuits I board is a comprehensive instructional module that plugs directly into the Electronics Universal Training System base unit to teach the fundamental concepts of DC circuits to students who are beginners and experts alike. The topics covered on this board include: resistors and Ohm's law, voltage sources, resistors in series and Kirchhoff's first law, resistors in parallel and Kirchhoff's second law, variable resistors, and troubleshooting exercises. A minimal amount of wiring is required to setup the board increasing the amount of time students have for hands on learning. The fault insertion system allows you to create an error on the board for students to troubleshoot, further developing their diagnostic skills.